These Chicago Gold Coast apartments are in a fantastic location right near everything in downtown Chicago. 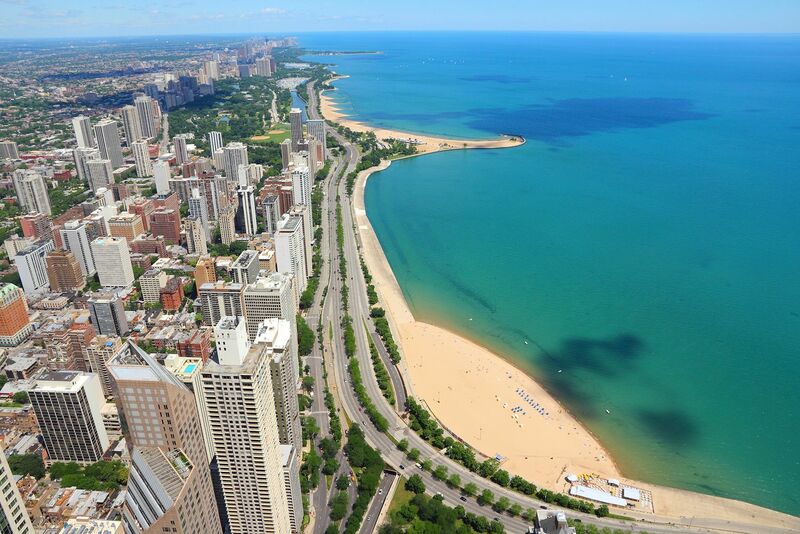 You are minutes from North Avenue Beach, Michigan Avenue, Hancock Tower, Lake Michigan, fine dining, shopping, running trails, and nightlife. The 151 bus also picks you up right outside of the building and you are about a quarter mile walk to the Clark/Division Red line stop. This building has a fantastic rooftop deck with sweeping apartment views of all that Chicago has to offer! You'll love your new apartment in Chicago that features white appliances, with stainless steel appliances available in select rental units. Dishwasher are in every apartment, which makes cleaning up a breeze. Large windows let natural light fill your apartment. Expansive closet space and spacious floor plans give you tons of storage room. It makes living in this Gold Coast apartment a renter's dream. If you are looking for a great value in Chicago's Gold Coast, these apartments might be the perfect fit for you!